1. Friendsgiving hostess gifts: The weekend before last was my baby shower in Houston and the trip marked the last time I’m leaving Austin before baby arrives. Unfortunately, that means no traveling to family for the holidays! 😦 Not having Thanksgiving dinner with our parents will be different, but different can be good, right? Thankfully, we were invited to attend a ‘Friendsgiving’ on Thanksgiving Day in Austin, so we wont be all alone. 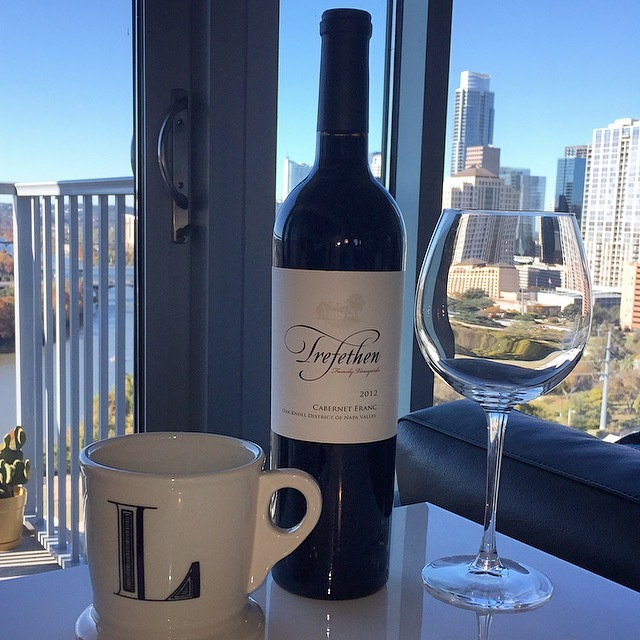 Ryan is planning to bring along a bottle of Cab Franc from one of his favorite vineyards, Trefethen. I’m gifting our hostess with my new go-to teacher/nurse/hostess/thank you gift: the Monogram Mug from Anthropologie. At just $8, not only is this little token of appreciation budget-friendly, but it’s personalized, multi-use, and goes with almost every decor. Plus, every lady loves to unwrap a little something from Anthro, right? I appreciate that they’re great given alone or you can personalize it further by filling it with other fun trinkets the recipient would enjoy. I like to think of it like a modern, mini gift basket…and everyone is gaga over all-things monogrammed these days. Bonus: for a couple bucks more, snag one of the limited edition versions in GOLD — so pretty for the holidays! 2. 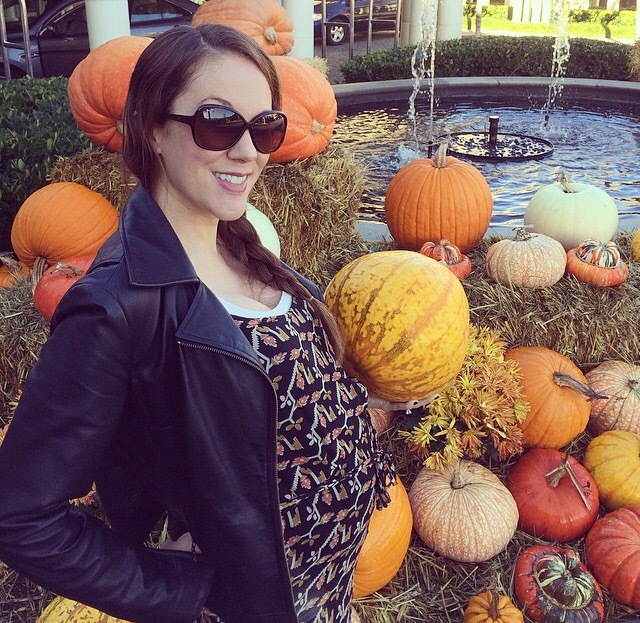 Styling the bump: A cute part of the weather change is that my baby bump is really starting to show and it’s so fun dressing it up for the season! I’m soaking up the love from strangers I meet…now that I finally really look pregnant, it’s heartwarming to hear the compliments & well wishes for our little one. 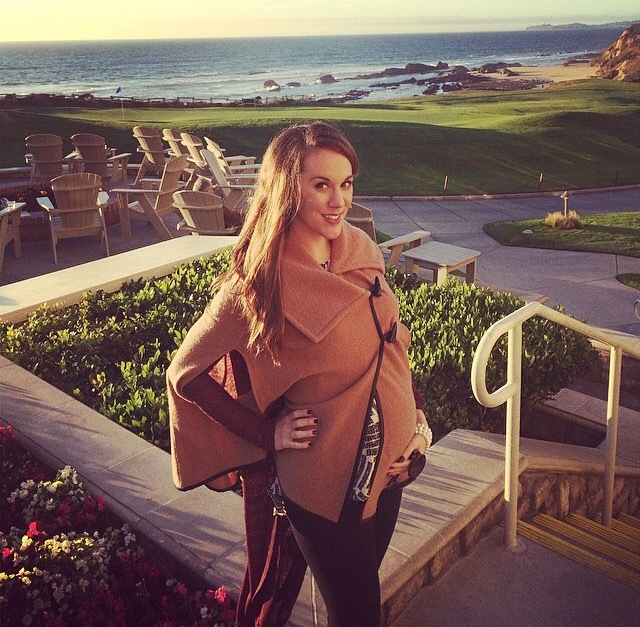 Ryan took these photos of me during our Babymoon in Half Moon Bay, CA. I wanted to share that a valuable layering piece I’m wearing underneath both of these looks is my basic white tank sent to me by SkinnyTees. SkinnyTees offers a collection of seamless tanks, tees, tops, skirts, dresses, bandeaus, leggings and active wear and their products are perfect for that in-between period during and post-pregnancy. With plenty of material to cover the entire bump, there’s no rolling or riding up here! Previously, I was living in my Shimera 2-way Seamless Tanks from Nordstrom but for now, the SkinnyTees seamless tank wins out due to the longer length and flattering cut. 2. 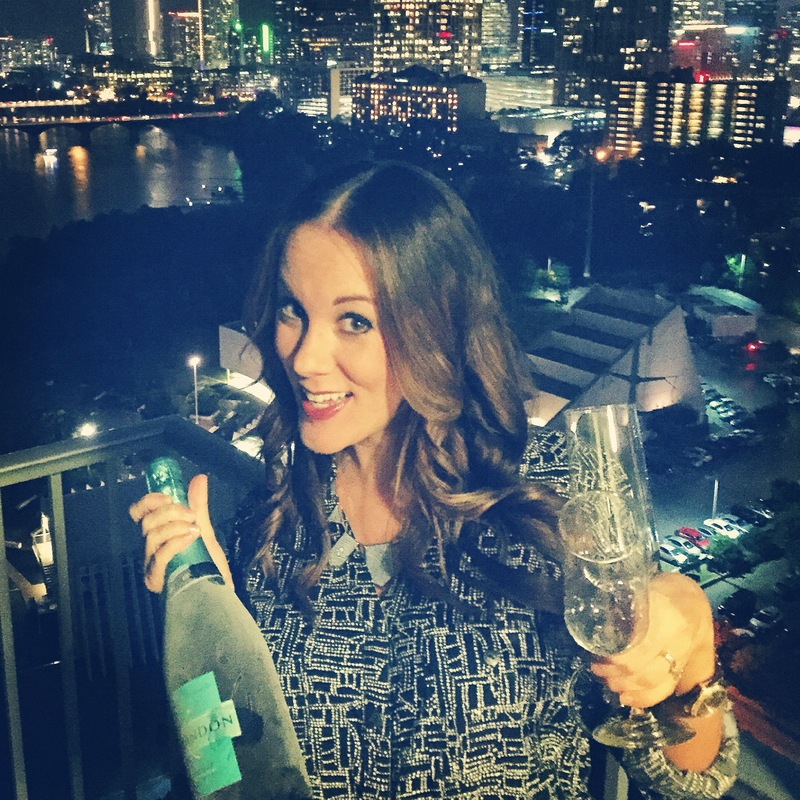 Delice: Arriving exclusively in Texas and Florida this month, this brand new bubbly from the sparkling experts at Chandon won’t be available nationally until February 2015. Described as crisp & refreshing, they recommend it on its own or in a spritz over ice with a fresh garnish like mint, grapefruit or cucumber. I was one of the first to receive a bottle of this debut cuvee — while it’ll be awhile before I can enjoy a glass or two myself, I was thrilled to be gifted with a bottle of champs whose name means ‘Delicious’ in French…perfect for Blog Joie de Vivre, no? Cheers, y’all and Happy Thanksgiving!